This is the latest installment of our Designing Women series. 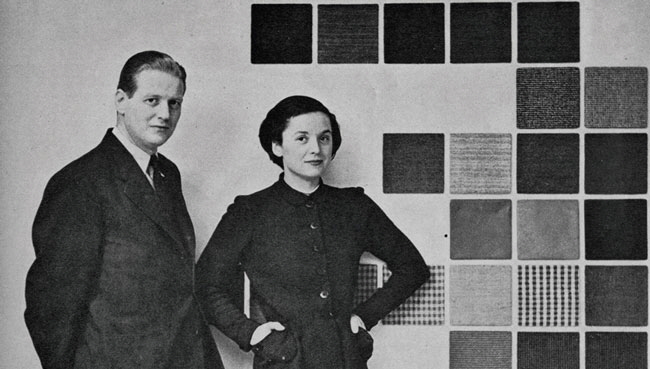 Previously, we profiled the German modernist designer Lilly Reich. *She became Florence Knoll Bassett in 1958, but for the purposes of this article we will use the name by which she's best known. Born in Saginaw, Michigan, in 1917 and orphaned at the age of 12, Knoll (then Schust) was put in the care of a family friend who made arrangements for her to attend boarding school. Given a choice of schools, Knoll selected the Kingswood School Cranbrook in Bloomfield Hills. There she came under the tutelage of master architect Eliel Saarinen and his wife, textile artist Loja Saarinen, who ran the school's weaving studio. 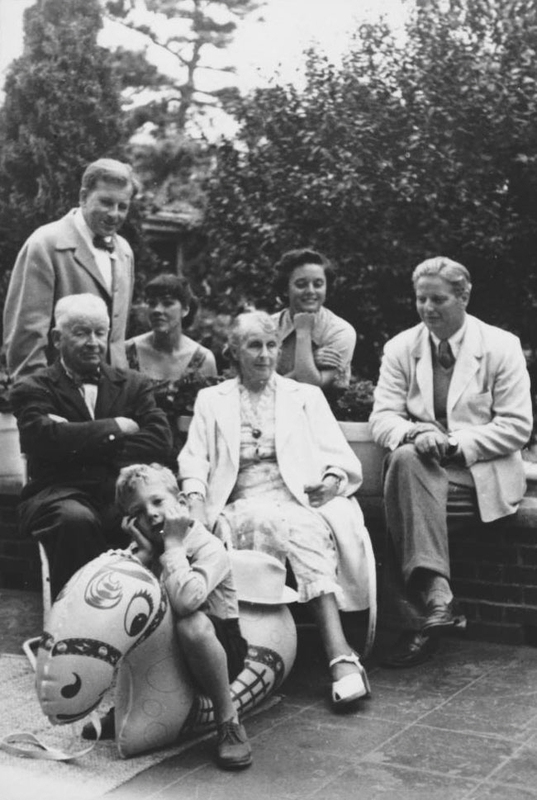 She also befriended their son, Eero Saarinen, and spent the summers with them in Europe, where she was exposed to a rich world of art and architecture. "I've had an extraordinary life when you think about it," she told Metropolis magazine in 2001. "Growing up at Cranbrook, living as part of the Saarinen family." 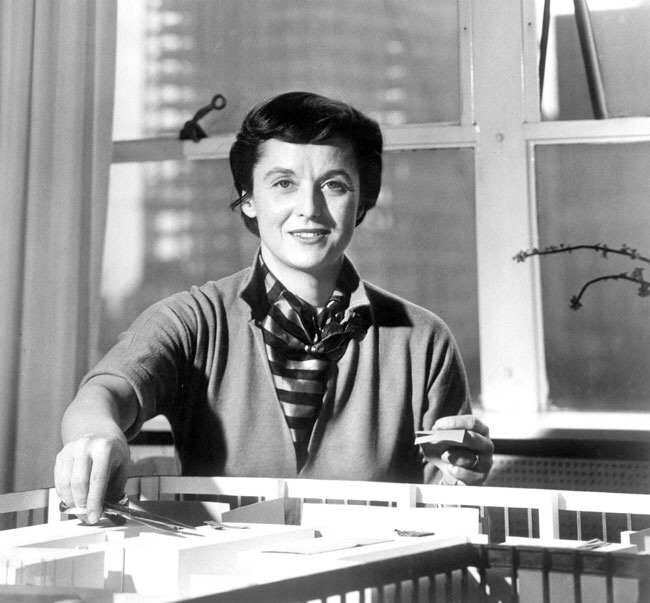 This special relationship helped guide her education in architecture at a time when few women entered the field—first studying at the Cranbrook Academy of Art, then at the Architectural Association in London (until the outbreak of World War II forced her to return home) and finally under the guidance of Mies van der Rohe at the Illinois Institute for Technology. 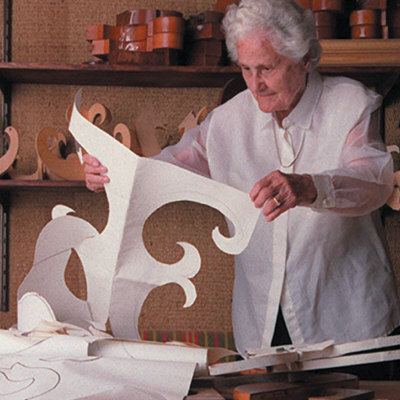 Hans Knoll established his eponymous furniture company in 1938, and in 1943 Florence Schust joined his office as an interior designer. They married in 1946 and changed the name to Knoll Associates. 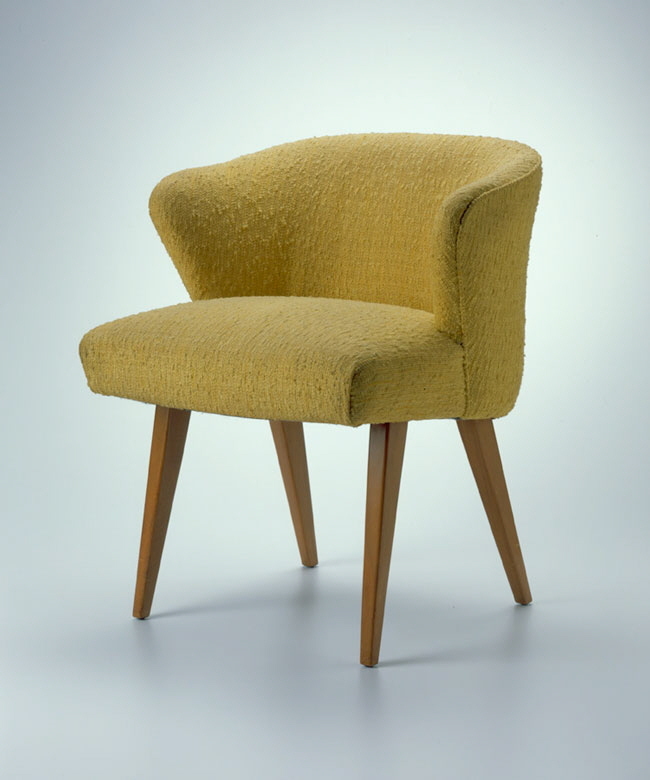 With Florence's previously established connections to architects and designers at Cranbrook and beyond, the couple began to expand the company's offerings with furniture collections in the modernist spirit. The result is now legendary—Mies van der Rohe's Barcelona collection, Eero Saarinen's Pedestal collection, and Harry Bertoia's innovative wire chairs, to name just a few. 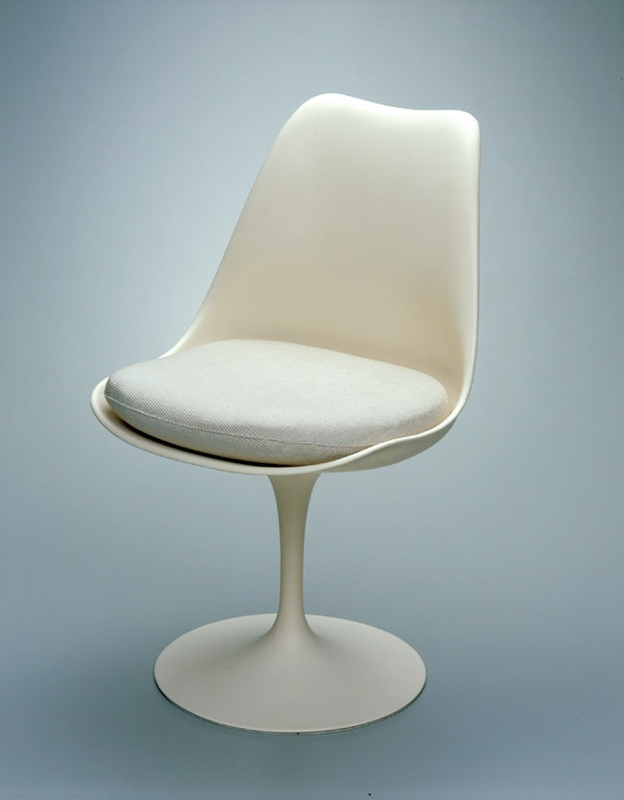 Reflecting on her work with the company's designers, Knoll recalled that, "In some cases the designs were existing classics like the Barcelona group. In other cases we commissioned designers to work on specific projects and stayed with them through all phases until completion. . . . In any case, we always demanded the very highest standards." 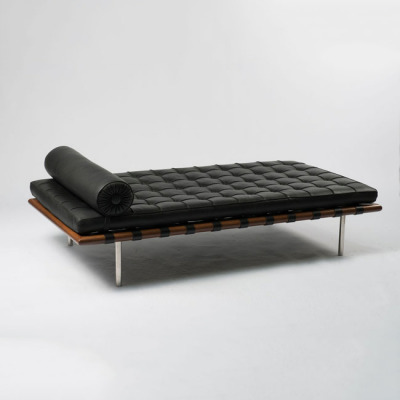 In 1955, Knoll became president of the company after her husband died in a tragic accident in Cuba. She remained at the helm for the next decade (including five years as president, while the company doubled in size), ultimately retiring from Knoll in 1965. 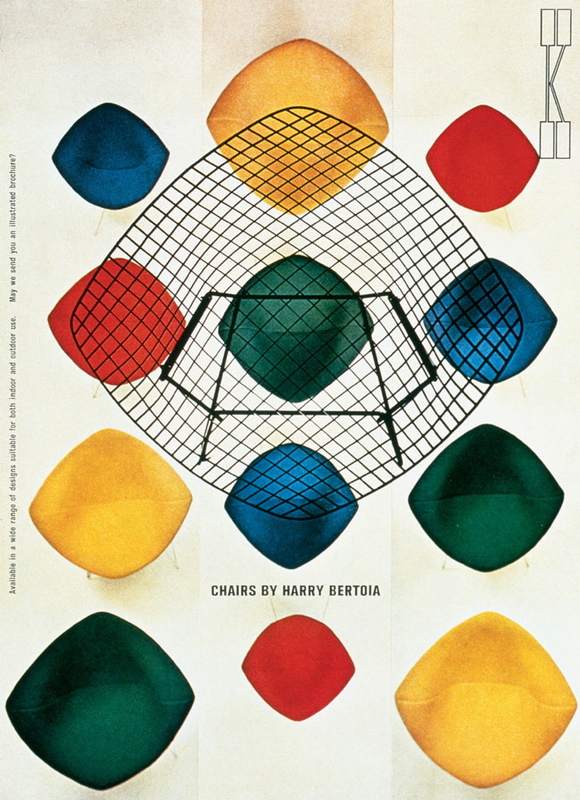 In 1959, Knoll told the New York Times that Eero Saarinen's famous design for the Womb chair came from her simple request that he create a chair "like a great big basket of pillows that [she] could curl up in." 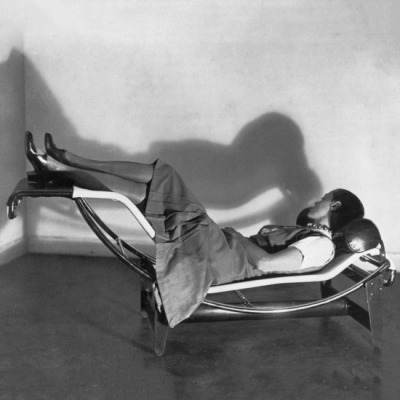 The result was a comfy lounger whose radical fiberglass shape proved difficult to manufacture. Instead of relying on traditional methods, Knoll found a boat builder in New Jersey to help make the form. "He was very skeptical," she later recalled. "We just begged him. I guess we were so young and so enthusiastic he finally gave in and worked with us. We had lots of problems and failures until they finally got a chair that would work." If you're reading this in a boutique hotel lobby or a chic corporate waiting room, there's a good chance you're sitting on a Barcelona chair (or, even more likely, a knockoff). Its sleek lines and refined elegance have been used for decades to telegraph a certain type of modern luxury, for which we have Knoll to thank. "I'd studied with Mies and was very interested in that form of design," she told Metropolis. 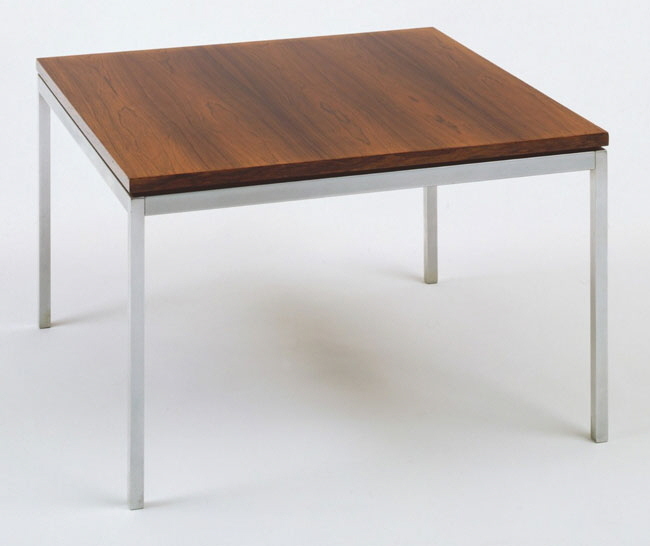 "I was responsible for convincing Mies to allow us to do his furniture. He was a silent man—very private. I told him, 'I promise you we will never allow any outrageous colors or materials to be used on your furniture.' I think that convinced him." 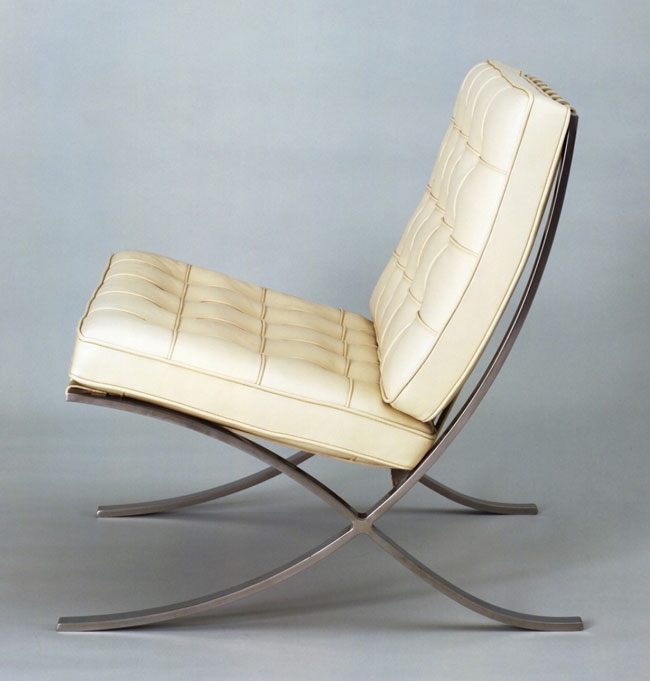 The chair, originally designed by Mies to receive the Spanish king and queen during their visit to his German Pavilion at the Barcelona Exposition in 1929, had seen very limited production in Europe. Knoll changed that, bringing his Barcelona series to her company, using it widely in her interior designs for the Knoll Planning Unit and showcasing it around the country in the Knoll showrooms. 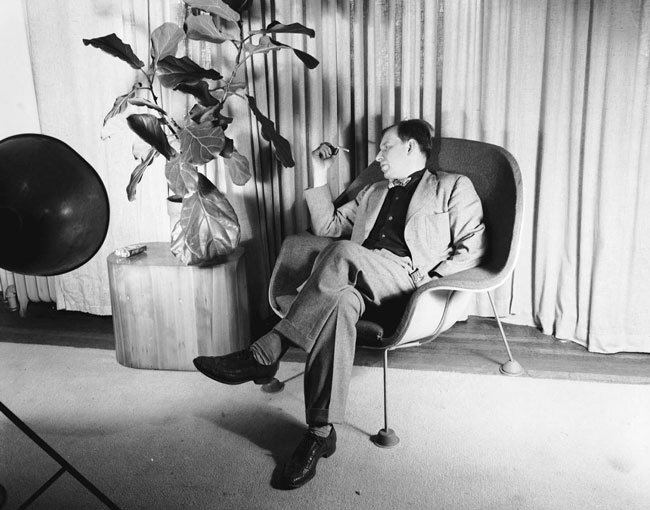 From 1946 to 1965, Knoll directed the Knoll Planning Unit, an interior design service that spread the brand's modern aesthetic to corporate clients by offering an approach to interiors that was more architectural than decorative. 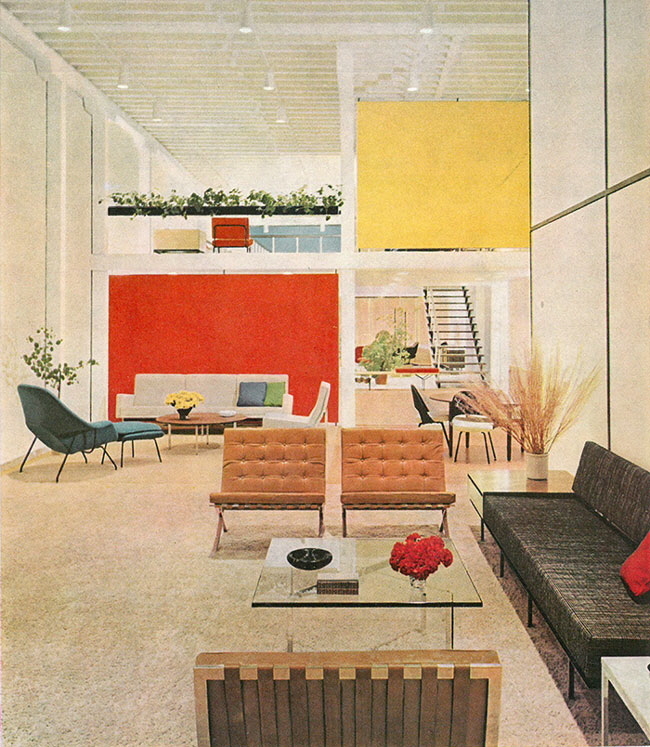 Furniture, textiles, color, lighting, detailing and space planning were all filtered through Florence Knoll's philosophy of "total design," revolutionizing the way that corporate interiors looked and functioned. 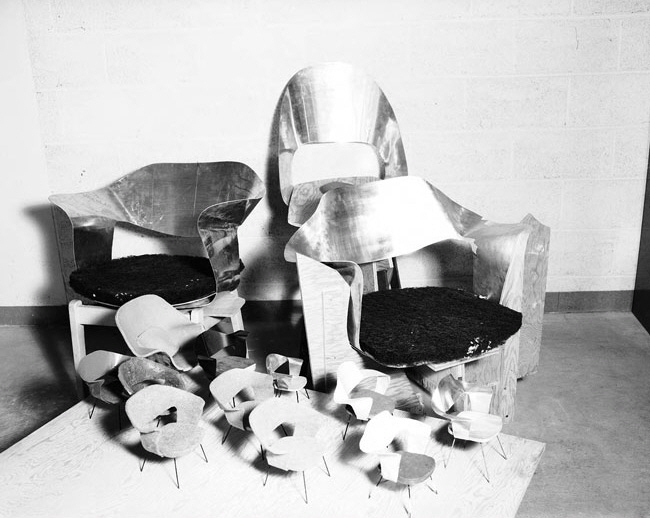 Knoll also designed custom furniture for the Planning Unit commissions, which she called "meat-and-potato" pieces, but bristled at the idea that she was merely decorating the spaces. As she told the New York Times in 1964, "I am not a decorator … the only place I decorate is my own house." 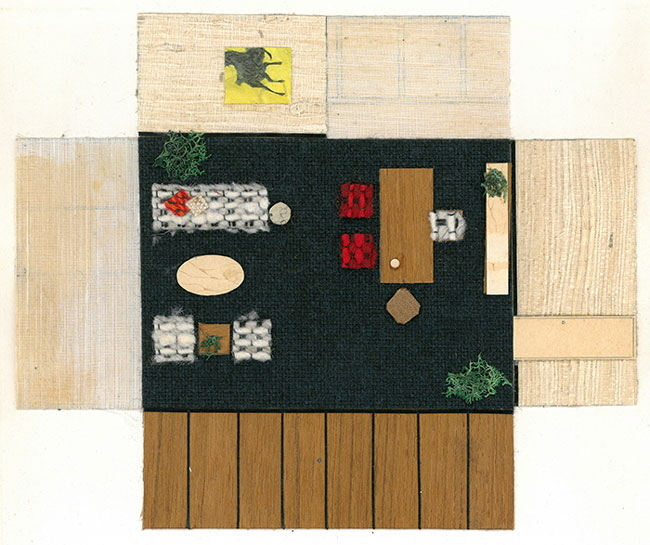 Knoll took her "total design" philosophy one step further when she donated her papers to the Smithsonian Institution's Archives of American Art in 2000. 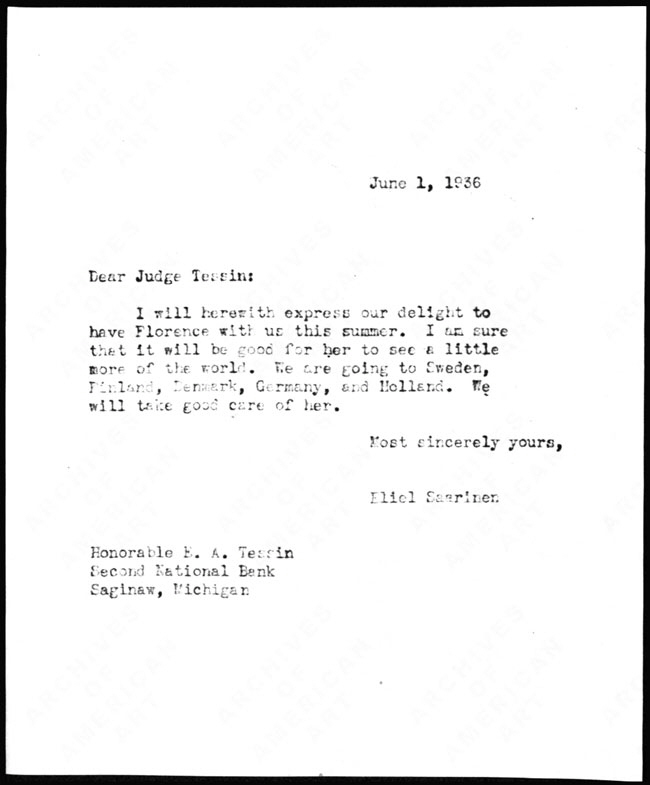 While the Archive notes on their blog that it's not uncommon for donors to annotate their papers, they were amazed at the lengths that Knoll took to design a thoughtful retrospective of her career: "Florence Knoll . . . curated the entire contents of the collection, arranged the papers into portfolios and color-coded files, and provided a detailed inventory. Representative of her 'total design' philosophy, she also designed and had custom archival boxes made to house the collection!" Would you really expect any less from the woman who revolutionized modern design in America? Thank you for sharing, I really enjoyed hearing about her early past. In regards to the "Paste-Up", is that a wall mounted mockup of a interior? If so, was that her style of presentation or was that a common technique in those days?